Gatherings are the 1st Tuesday of the month. We get together for Dinner at 6:30 pm and meeting starts at 7:30 pm. The back room will be reserved in the Chapter's name. Gatherings are generally the first Sunday of the month at the River Tree Community Church 3113 Lansing Ave. Jackson, MI Social starts at 3:30 - 4:00 PM. Gathering 4:00 PM-5:30. Come out and join us for a good time. We have our Gatherings the second and fourth Saturday of the month at 10 AM at Kerby's Koney Island located at 25050 Northwestern Hwy in Southfield. 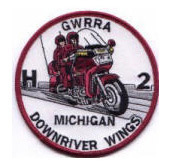 Downriver Wings has a Gathering the 4th Tuesday of the month @ 6:30 pm for dinner and 7:30 meeting located at: Leon's Family Dining, 8787 Telegraph Rd, Taylor, MI 313-299-0967. 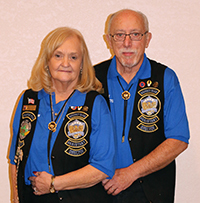 We have our Chapter Gatherings on the 4th Saturday of the month at J & J Eaton Place, 218 Cochran, Charlotte, MI 8:30am for coffee or breakfast and the meeting is at 9:00. Contact the Chapter Director for information. Dinner Rides every Wednesday leaving at 6pm May - October. Rides leave from Family Kitchen parking lot at Treat & 223 in Adrian. Chapter W monitors CB Channel 15.